Strawberry-flavored marshmallow gummies are wrapped up with a fluffy pink cottontail. They make a perfect Easter gift and are simply ear-resistable! Our fruity sour bunnies will get your taste buds hoppin' with their deliciously-tart flavor and soft, fluffy texture. These gummy candies all dressed up with a cute blue cottontail. 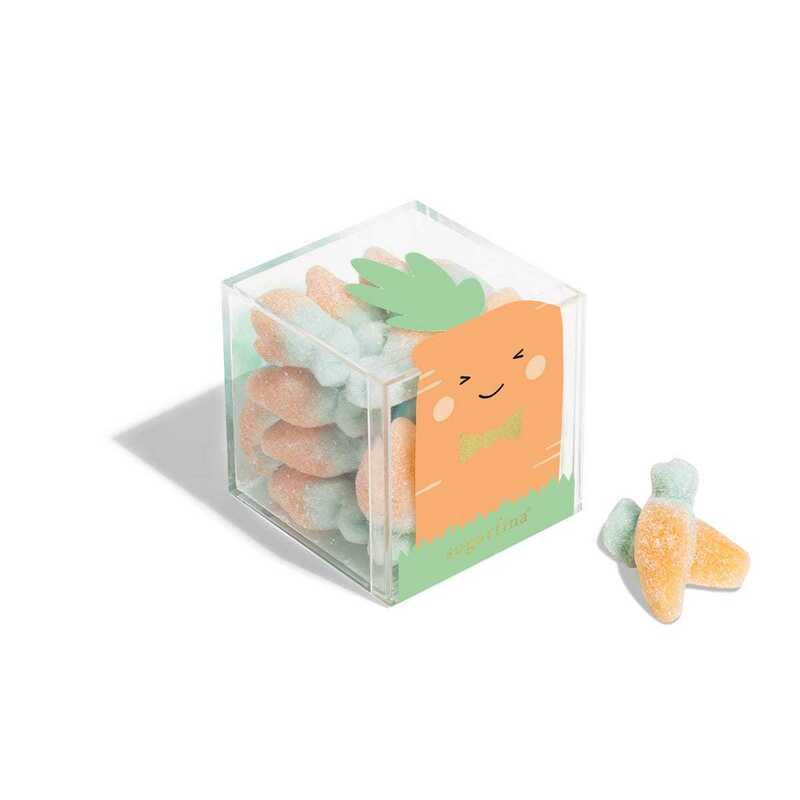 Keep calm and carrot on with our new Baby Carrots gummies from France. These tasty treats are filled with juicy orange flavor and dusted in tart sugar crystals. 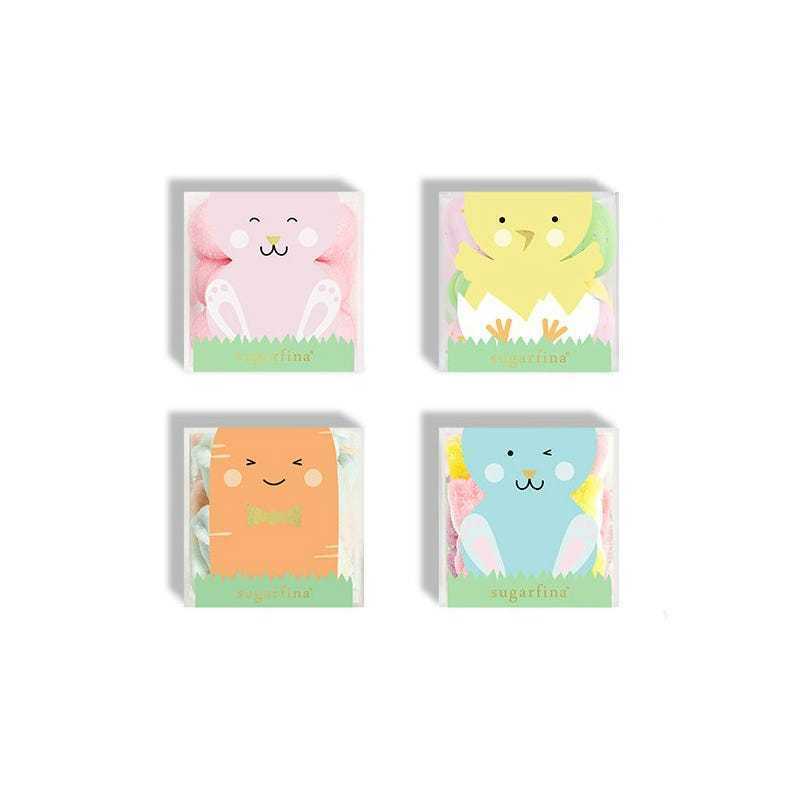 A vanilla-flavored marshmallow is dipped in premium milk chocolate and a pastel candy shell, then wrapped up in the cutest baby chick design with a fluffy yellow tail. 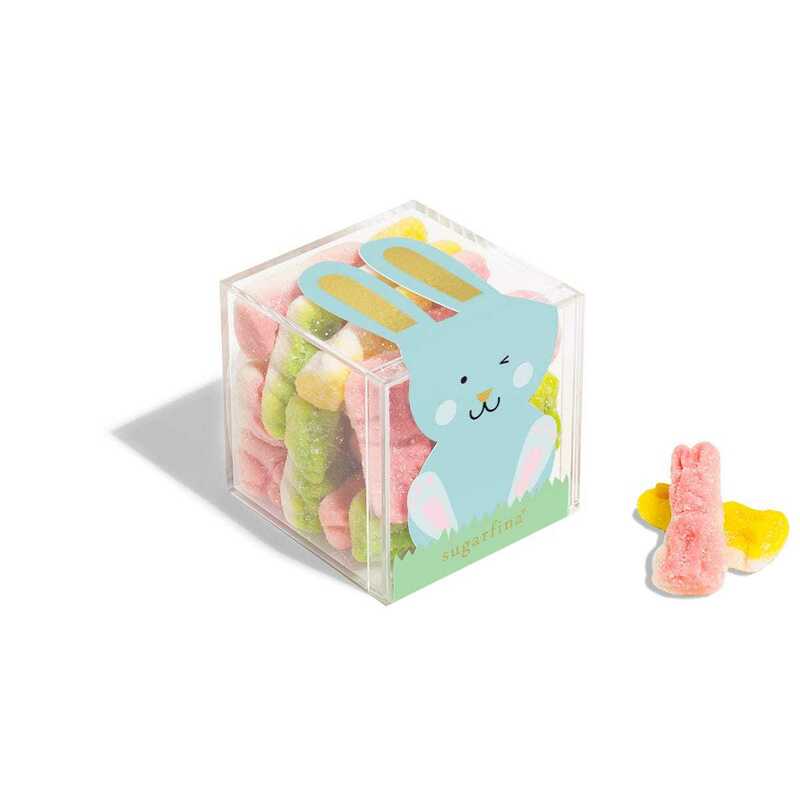 Includes all four Easter Candy Cubes: Baby Carrots orange-flavored gummies, Milk Chocolate Marshmallow Eggs, fruity-sour Fluffy Bunnies, and strawberry-flavored Bunny Tails. 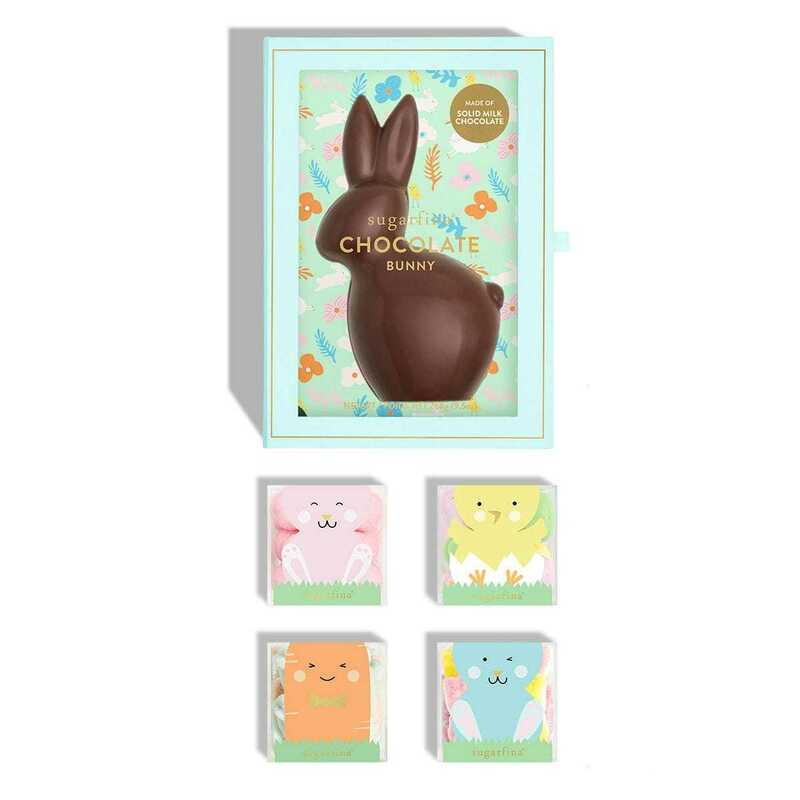 Our Chocolate Easter Bunny is ear-resistible from head to tail. 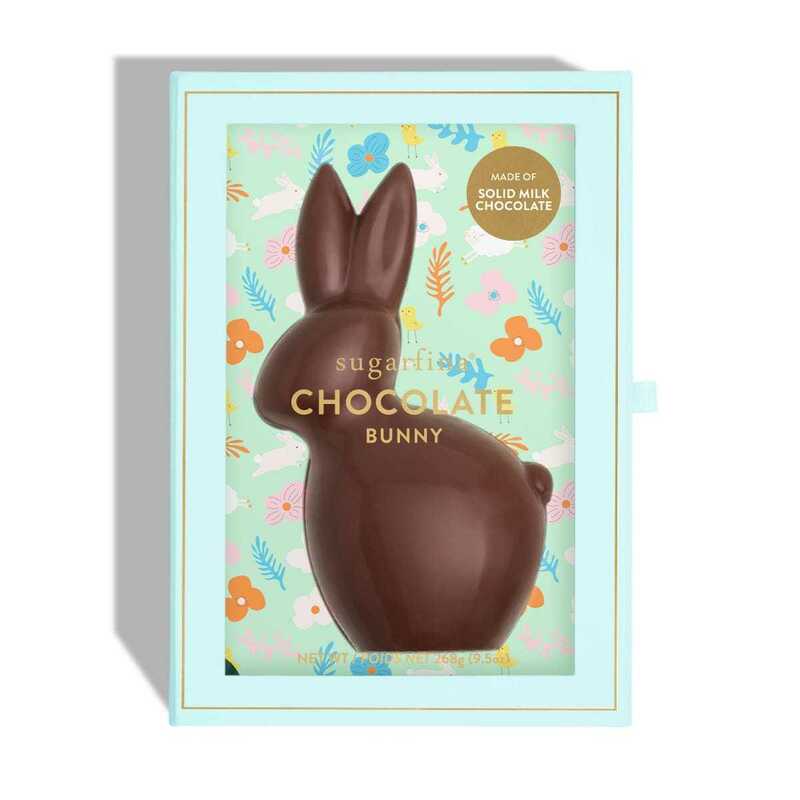 Made of solid milk chocolate and tucked into a keepsake box, this beautiful bunny is sure to be a showstopper inside your Easter candy basket. Chocolate from Paris is topped with sparkling sugar and confetti sprinkles for an ear-resistable addition to your Easter bunny basket. You'll be jumping for joy when you try this delicious chocolate bar. You'll be hopping for joy over our limited-edition Bunny Bark chocolate bar. 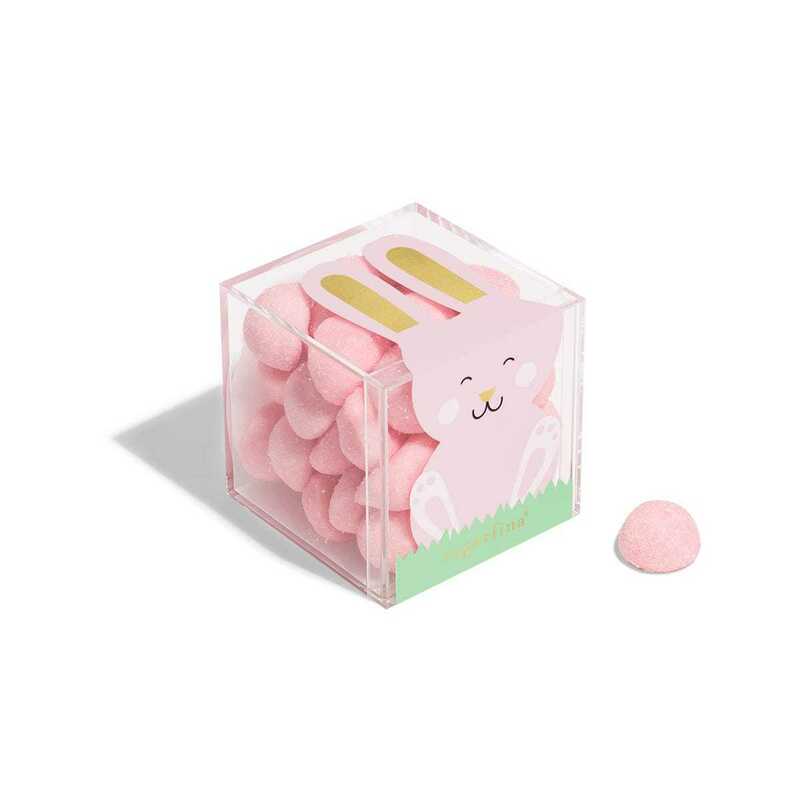 Pink chocolate from Paris is topped with sparkling sugar and confetti sprinkles for an ear-resistable addition to your Easter basket. 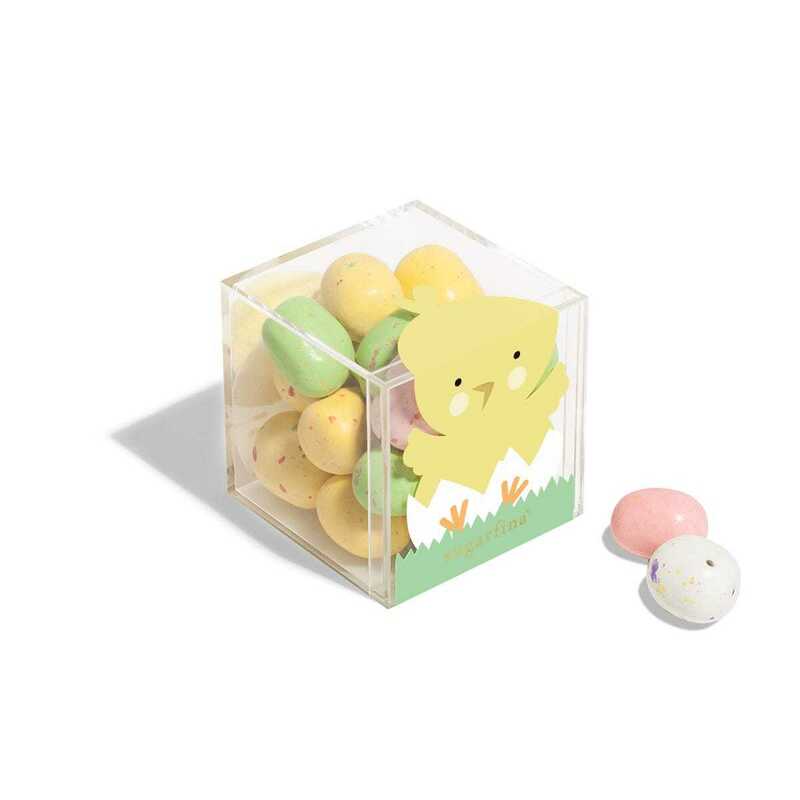 Includes our first-ever Chocolate Bunny and one Candy Cube of each of our Easter flavors.